Stalin leadership under test in TN bypolls: Will DMK storm to power in June? M K Stalin has been able to take over the Karunanidhi legacy in a much easier manner than many people have thought. However, his leadership is now under test with Tamil Nadu set for 20 to 24 Assembly by-elections in the next few months. Having missed the opportunity to make a bid for power during the peak of AIADMK in-fighting in early 2017, the question uppermost in the minds of DMK supporters is whether he can lead the party to victory in the byelections and come to power by June 2019. Stalin’s detractors have made the point that he is yet to deliver an emphatic victory in elections right from 2014 Lok Sabha elections when he was virtually in-charge of the DMK campaign. The DMK then drew a blank having contested without the Congress as an ally. Stalin was reportedly behind the decision to jettison the Congress. The decision proved costly as an alliance could have got the DMK-led front at least a few seats instead of ending up with none. The 2016 Assembly elections saw yet another opportunity for the DMK to return to power as the trend from 1989 was of the ruling party losing power in the next elections. The AIADMK having won the 2011 polls managed to retain power in the 2016 Assembly elections, bucking the trend of 27 years. This time the DMK went in for an alliance with Congress and others and came close, with the DMK itself winning 89 seats and its allies nine. However, after the death of Jayalalithaa, the AIADMK was split between the EPS and OPS camps, and later though they merged, the Dinakaran group continued to pose a challenge to the AIADMK. DMK’s Treasuer Durai Murugan is on record that Kalaignar would have handled the situation differently then. The underlying message is that Stalin somehow could not evolve a strategy to form a government then. The RK Nagar by-election had come as a huge embarrassment for Stalin as the party finished third behind Dinakaran and Madhsudhanan, and even lost its deposit despite the AIADMK split. The AIADMK charged that the DMK had deliberately performed poorly to help Dinakaran win and try to bring down the EPS Government. The DMK vehemently denied it but had little explanation for its weak showing, leading to action against some DMK functionaries. The 20 by-elections due in the State in the next few months present a fresh opportunity to sweep the polls and prove that the DMK is the number one party in the State and also make a fresh attempt to come to power. The DMK-led front has a strength of 97. If you add Dinakaran, the opposition has the support of 98 MLAs in the 234-strong House, now reduced to 214 after the disqualification of 18 MLAs belonging to the Dinakaran group. The AIADMK, at the moment, has only 110 MLAs including Speaker P Dhanapal. Six AIADMK MLAs are supporters of Dinakaran. The arithmetic is now slightly loaded in favour of AIADMK with 109 votes to be cast for it, while the opposition without any threat of disqualification can muster 104. If the DMK manages to sweep the 20 by-elections, winning at least 13 seats, the DMK-led front could have 110 seats, and defeat the AIADMK if the Dinakaran group is allowed to vote against the government. Politically, a massive defeat for the AIADMK in the bypolls could trigger an exodus from the party towards the Dinakaran group and hasten the exit. Much depends on the outcome of the 2019 Lok Sabha elections as well. A weaker NDA government at the Centre or a coalition government of several regional parties with the support of the Congress as in 1996, or a Congress-led government with the support of others, can mean that the AIADMK government will be under enormous pressure. A non-BJP government at the Centre may not come to the aid of the EPS government if it faces a crisis. On the other hand, if the AIADMK does reasonably well,, winning at least ten of the 20 byelections, it could cross the half-way mark in the full House, and can look forward to stay in power for the rest of the term unless Dinakaran is able to pull off a coup. It can safely be said that the DMK could have several Lok Sabha members from Tamil Nadu in the post-election scenario. The DMK could be expected to play its cards right to bring about the downfall of the AIADMK government, if it survives till June 2019. The next few months are therefore crucial for Stalin, who will have to use every opportunity that comes his way towards government formation in the State at the earliest. Any failure here will be pounced upon by rivals like his brother M K Alagiri who believe that Stalin cannot deliver a victory. 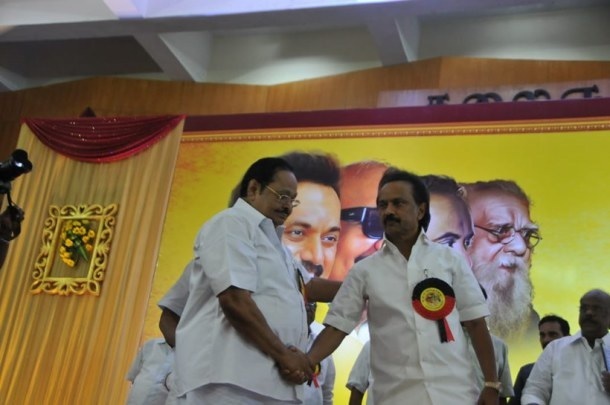 Forums › Stalin leadership under test in TN bypolls: Will DMK storm to power in June? 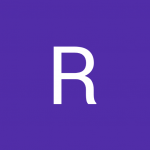 This topic contains 0 replies, has 1 voice, and was last updated by Rangaraj 5 months, 3 weeks ago.